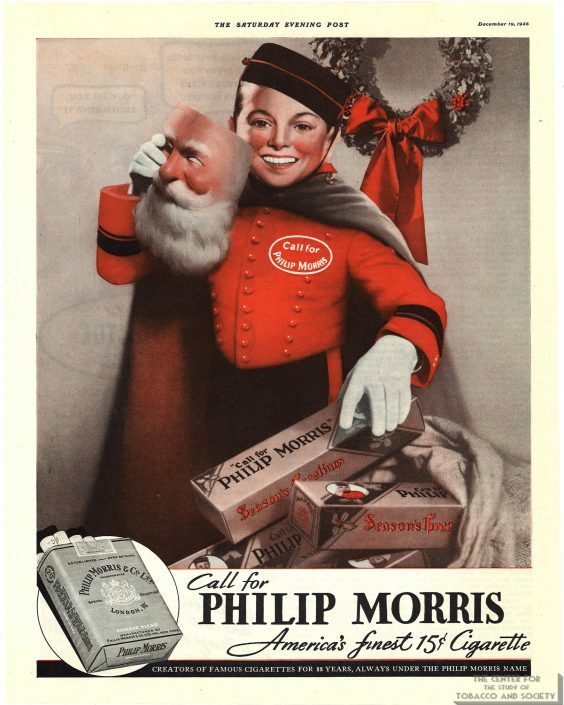 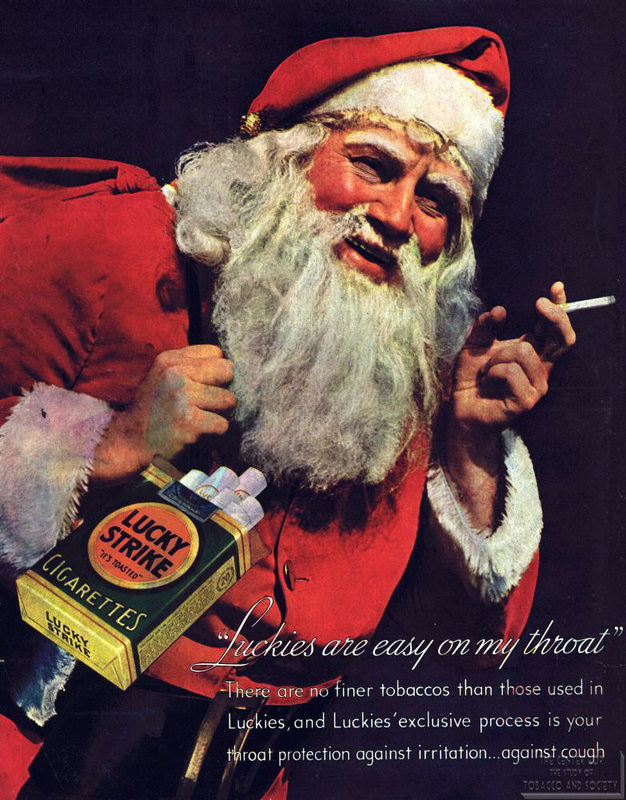 This collection contains materials pertaining to Christmas and tobacco, primarily various forms of advertisements. 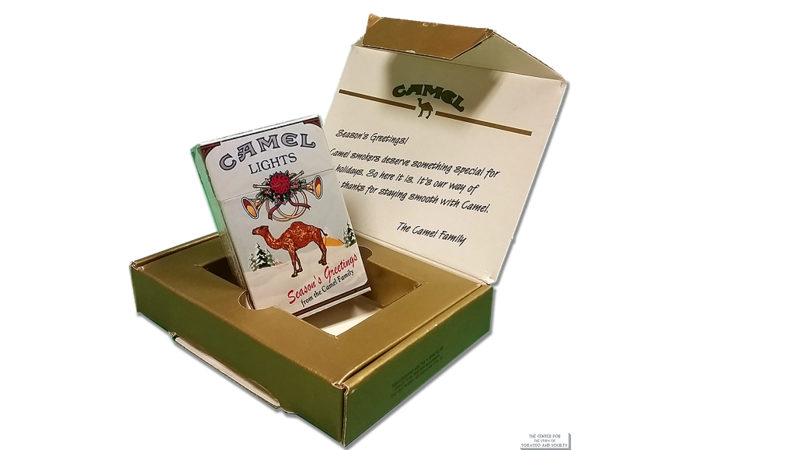 The types of material included are print advertisements, mailers, posters, cutouts, newspapers, and coupons. 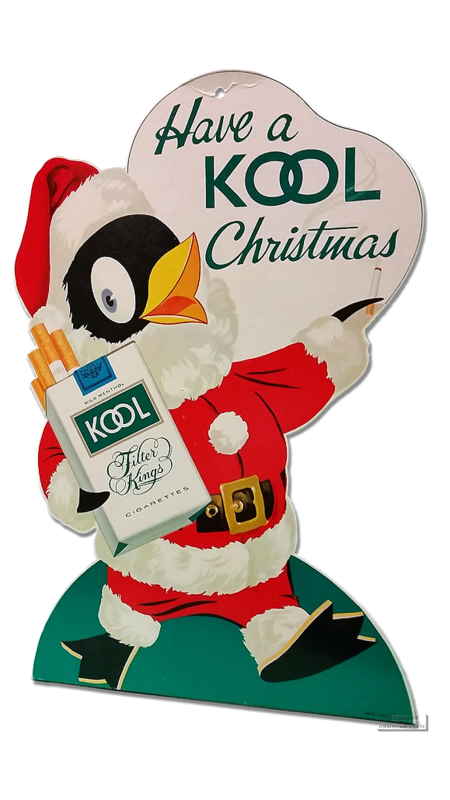 There are some full boxes of cigarettes, sent as holiday promotions. The earliest dated item is from 1915 and the latest is from 2004, although there are several undated materials. 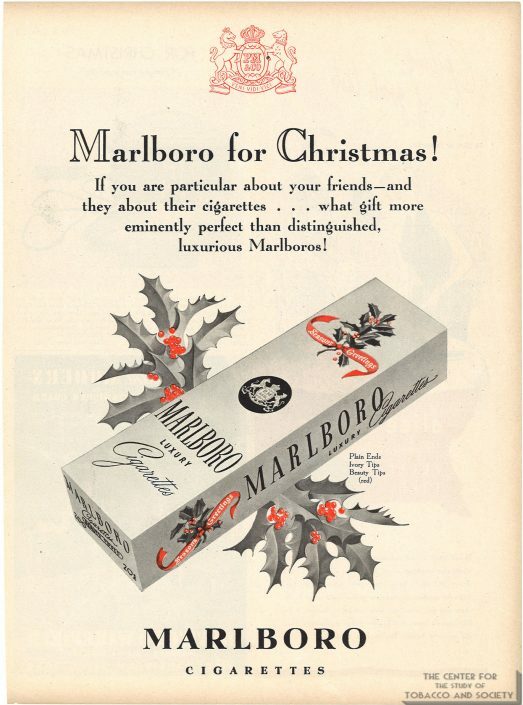 The majority of the dated items are from the 1940s and 1950s, and there is also a large portion from the early 2000s. 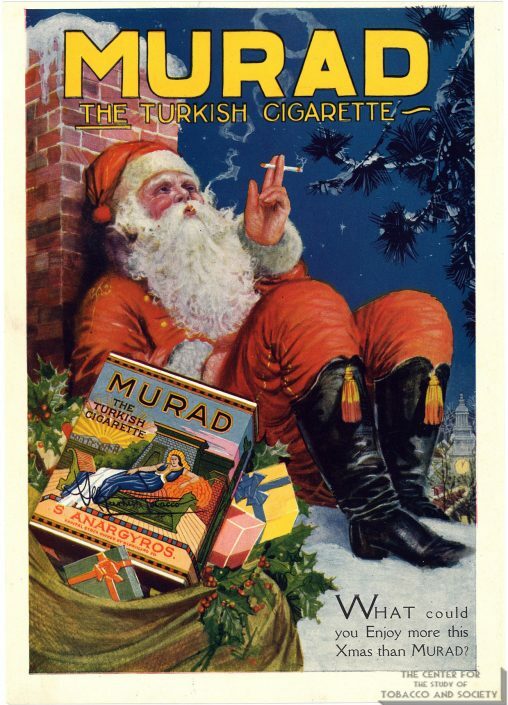 The brands represented in this collection include: Camel, Chesterfield, Egyptial Deities, Fatima, Kent, Kool, Lucky Strike, Marlboro, Murad, Old Gold, Pall Mall, Parliament, Philip Morris, Player’s, Prince Albert, Richmond Straight Cut, Senior Service, Tareyton, Viceroy, Vogue, and Winston.